Since 1975, The Best Cellar has been a favorite among locals and visitors. Along with nightly specials we offer fresh seafood, beef, rack of lamb and roast duckling. We feature an extensive wine list and private cellar. Open year round with valet service. Reservations requested. An experience to remember! Thurs thru Mon – Dinner service only beginning at 5:30pm. Experience Southern-inflected American bistro fare in the fully-renovated, legendary Antler's Bar. Seasonal menus & local ingredients come together in memorable dishes enjoyed amidst roaring fireplaces, our open-air patio, and the rustic comfort of wood, leather & stone. Upscale cuisine in casual surroundings to delight your palate. 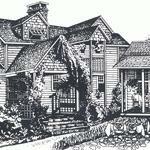 One block from Main Street, The Blowing Rock Ale House and Inn features Blowing Rock's first micro-brewery and a lovely five room inn. All day dining and fifteen tap beers are sure to delight. Enjoy all the comforts of our freshly appointed guest rooms. Opening May 2019! 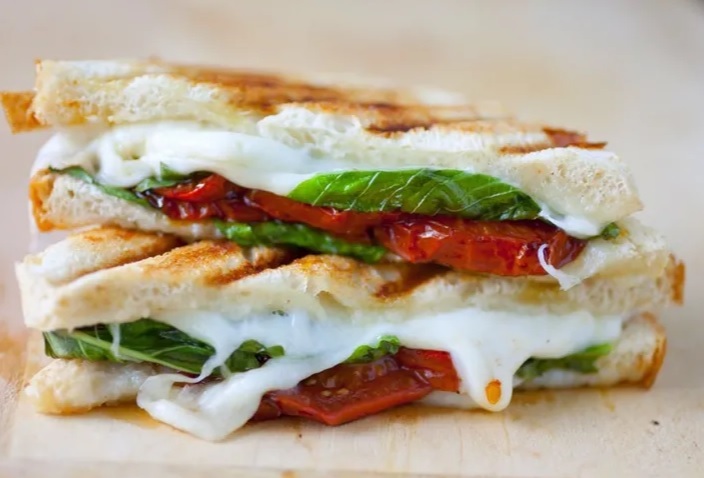 At Grilled Cheese Cafe we prepare internationally inspired gourmet grilled cheese sandwiches made to order. Stop by for a quick and affordable specialty grilled cheese sandwich to go or join us on our patio. We are located in the SouthMarke Shopping Center/ Rear Courtyard, 1179 Main Street, Blowing Rock. Serving lunch from 11:00 am to 3:00 pm daily. Taking local and sustainable to new heights, the Chestnut Grille maintains its own 1/3 acre garden on site, which supplies the kitchen with a variety of vegetables and herbs throughout the summer and fall seasons, and offers dishes that are unique, yet familiar, in a warm, approachable and casual setting. Vegetarian, vegan and gluten free guests will find the menu and restaurant accommodating. The Chestnut Grille offers an extensive and thoughtful wine list along with a selection of craft beers. Sundays through December 31 are Locals Night, with live music, food and drink specials and discounts. Patio dining is offered seasonally. Located in the lobby of the Historic Green Park Inn, the Divide Tavern sits directly astride the Eastern Continental Divide. Long a gathering place for Captains of Industry, Heads of State, and celebrities from authors to actors, the Tavern offers unique pub fare, as well as pub classics with Chef inspired flare. Experience a less formal dining alternative while still enjoying creatively inspired fare, set in the ambiance of a bygone era. Local, craft and draft beers, seasonal drink specials such as the Basil Gin Gimlet, and the Cucumber Martini offer guests a tempting twist alongside classic cocktails, and an impressive selection of wine by the glass. Famous Toastery's story began in 2005 in Huntersville, N.C. in a small house-turned-restaurant where best friends Brian Burchill and Robert Maynard opened their first breakfast spot. News of their fresh-made breakfasts and fun atmosphere spread. The concept quickly grew to three locations, serving new and loyal clients dishes such as made-from-scratch portabella mushroom, benedict and avocado omelets. Never compromising fresh ingredients or amazing service, the demand for Famous Toastery kept growing. 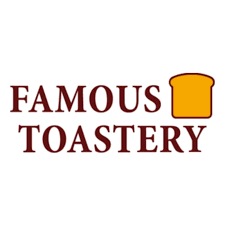 To satisfy its family of patrons' pleas for more locations, Famous Toastery evolved into a franchise system in 2013. Dining customers always can expect impeccable service because at Famous Toastery, "every server is your server." After being in the Boone restaurant industry for 10 years, Chef Burt Myers and his family came home to Blowing Rock, creating daily culinary delights at Foggy Rock Eatery on the 321 bypass. A twist on the ordinary, Foggy Rock's menu has something for everyone. Daily specials that will delight your senses in a cozy and relaxing atmosphere. Pub with full menu and multiple TVs for sports viewing. Lots of local craft beers on tap, and Rich's ever popular Bloody Mary's. Our newest restaurant in Blowing Rock is on the corner of Main Street and Hwy 221/Yonahlossee Road, open as of May 2014. We are more than just pizza and beer. We want to provide you with an experience filled with colorful art, eclectic music and food that comforts your soul. 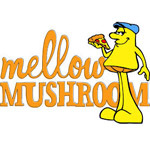 The Mellow Menu is a collection of munchies, salads, pizzas, calzones, deli hoagies and grilled hoagies. We work with passion in food preparation by bringing in a team of Native Thai Chefs with years of experience in Thai, Sushi and Asian Foods. This is to ensure your enjoyable moment of authentic taste in finely crafted presentation with a friendly comfortable dining atmosphere. 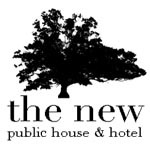 The New Public House and Hotel is located in historic Blowing Rock. At the heart of the modern American food offering at The New Public House are Southern-inspired small plates and meals, complimented by an impressive selection of local ales, fine wines and seasonal cocktails. 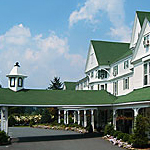 The building, the former Sunshine Inn, has been lovingly modernized by the team behind the local Gideon Ridge Inn and Bistro Roca. Outback Steakhouse starts fresh every day to create the flavors that our mates crave. Best known for grilled steaks, chicken and seafood, Outback also offers a wide variety of crisp salads and freshly made soups and sides. Our new creations and grilled classics are made from scratch daily using only the highest quality ingredients sourced from around the world. Open all year, every day. Dinner only. All ABC permits. 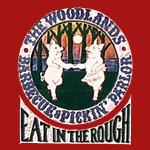 Serving the Blowing Rock area authentic Italian dishes and pizzas for over 35 years. All ABC permits. Open daily, 7am – 9pm. Sunday brunch: 8am-1pm. Enjoy an evening of fine dining. Intimate dining room with beautiful views of the mountains. Wine and beer available. Reservations a must. Welcome to Rowland's, the restaurant at Westglow Resort & Spa, where we pride ourselves in the art of fine cuisine. Rowland's features an indulgent menu with a wealth of decadent choices to tempt the palate as well as a spa menu for the health conscious. Our dinner menu is accompanied by a selection of the finest wines, champagnes and cocktails. Luscious desserts and liqueurs are on hand for a sweet finish. Rowland's is open every evening to spa members, resort guests and the public. Savannah's Oyster House is just great food in a laid back Low Country Atmosphere. Come and enjoy this unique dining experience where there is something for everyone. In the heart of Blowing Rock, you will find a bit of England at the Six Pence Pub. We feature British specialties such as Fish & Chips, Shepherd's Pie, Beef Guinness stew, traditional American fare, and house made soups. Meet your friends at this congenial British Pub where you can enjoy a relaxing lunch, your favorite craft or import beer, wine, or cocktail. Open year-round; serving late night. Enter as Strangers. Leave as friends. A truly enjoyable meal is the sum of its parts: seasonal, sustainable and locally harvested ingredients prepared with distinctive, regionally crafted flavors and served in a warm welcoming environment. That's Storie Street Grille. 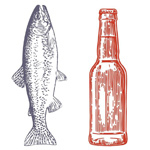 Our full bar, hand selected wines and micro-brewed beers, are a great compliment to our diverse menu which focuses on local meats, use of sustainable seafood, and seasonal produce. Come join us in our comfortable dining room, or relax on our covered porch, and discover why we've been a village favorite of locals and visitors since 2000! Serving Lunch 11:00 - 3:00 and Dinner 5:00 - 9:00 Monday - Saturday. Open 7 days a week year round. Specializing in custom built sandwiches and salads. Enjoy our outdoor seating and friendly service. A neighborhood breakfast diner and community hangout that serves eggs-traordinary breakfast and brunch items. 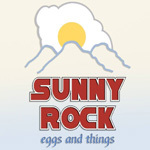 We offer a variety of egg dishes and sandwiches, pancakes, French toast, and more. Our uniquely varied menu is sure to be pleasing to everyone! All menu items are available all day. Open 6 days a week Monday though Saturday, 7:30 am to 1:30 pm. Mountain Modern Cuisine with a global twist. A great new place to gather, The Ridgeline Food & Spirits celebrates the High Country and one of the most iconic buildings in Blowing Rock. Overlooking Grandfather and Grandmother Mountains, Table Rock, Hawk’s Bill and expansive views of the John’s River Gorge, The Ridgeline offers a fun new ambience, great food made with local ingredients and a creative cocktail list to ensure a memorable experience. We invite you to Celebrate here. 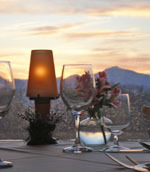 Open to the public and one of the High Country's most favorite dining options for romance and family gatherings. Timberlake's offers the BEST Breakfast buffet in town and a lunch & dinner menu inspired by Bob Timberlake, who is known for creating things of exceptional artistry and imagination, Bob used his deeply rooted love of food as the impetus behind the distinctive menu. From savory shrimp and salads of mountain-grown spinach to pan-seared duck and roasted Carolina quail, each dish will be one worth savoring. Mouth-watering Angus bistro filets, seafood, poultry, vegetarian options and housemade desserts will also tempt palates of all tastes. 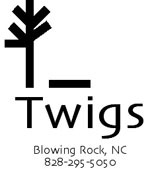 New location in Blowing Rock! We have the best food at great prices, a fully stocked bar with the coldest beer, and an extremely friendly staff to serve you. With flat screen televisions spread out everywhere, our patrons can enjoy their favorite team in action from anywhere in The Town Tavern. We are the place to watch the NFL, NBA, NCAA, MLB, NHL, Soccer, and of course Appalachian State University Athletics! Visit our website for menus. Fine dining in a cozy mountain atmosphere. Specializing in an array of dishes of the highest quality including crab cakes, filet mignon, duck breast and mountain trout. The bar area features a fireplace and wooden bar stools. Bar also serves dinner nightly and hosts bands every Friday and Saturday. Extensive wine list and all ABC permits. 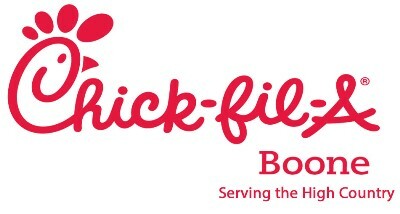 Owned and operated by brothers David and Doug Beach. Reservations suggested. Listed on the National Register of Historic Places. Enjoy breakfast, brunch, and lunch in the garden or our turn-of-the-century home. Open at 8:00 am serving breakfast and brunch all day. Lunch begins at 11:00 am. Follow the stone pathway beside Kilwin's Chocolates & Ice Cream on Main Street. Your hosts: Annie and Andy Whatley. Closed Mondays. Reservations available. 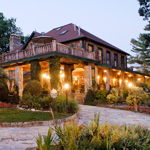 Casa Rustica has been serving Boone for over 30 years as the premier choice for fine Italian dining. From our Certified Angus beef filet to our homemade tiramisu, one is sure to find something to please the palate. 2006 Boone Chamber Small Business of the Year! Watch as skilled chefs perform culinary magic tableside or dine at a private table in our sushi bar. Serving Lunch and Dinner 7 days a week. Patio open weather permitting. Makoto's can accommodate business functions, private or large parties, rehearsal dinners, catering. Pepper's was established in 1975, serving the High Country its first taste of the highest quality deli sandwiches. Since the early days Pepper's has expanded into a full service restaurant and bar. Open Mon-Sat, 7am - 8pm. Made from scratch bagels and breakfast bagel sandwiches. Quiche and granola options. Homemade soups and fresh salads. Hot & cold sandwiches for lunch. Coffee, espresso and real fruit smoothies. We look forward to seeing you! 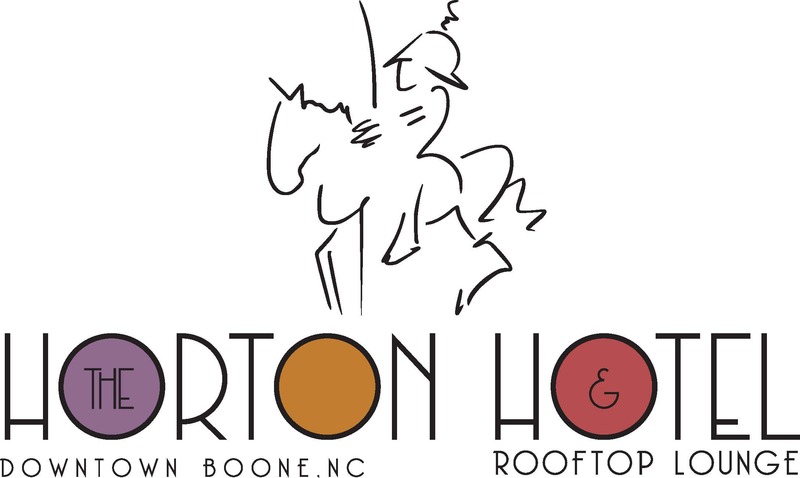 The Horton Hotel Lounge features local beer, seasonal menu, small batch wineries and classic & craft cocktails. Located in historic downtown Boone, Vidalia Restaurant and Wine Bar is a casual dining atmosphere serving upscale dishes. Owner and Executive Chef Sam Ratchford creates delicious creative American dishes (think comfort foods with a twist) using locally farmed organic produce, meats and cheeses. Vidalia offers extensive craft beers, a wide variety of wines, and unique cocktails to enhance your dining experience. The restaurant offers lunch, dinner and Sunday brunch as well as monthly wine/beer dinners, catering, and private parties.